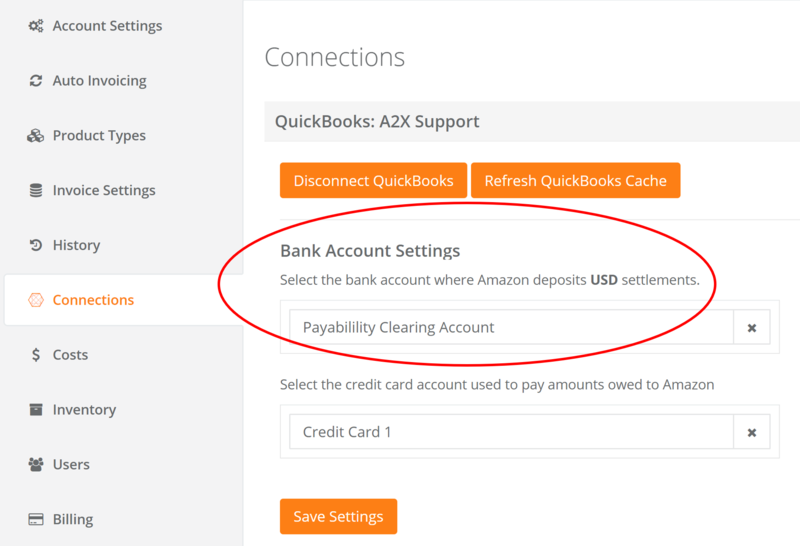 How does A2X work with QuickBooks Online and third party payment accounts like Payability or World First and OFX? The advance payment or instant payment clearance solutions available today are endless! They certainly greatly assist businesses with cash flow and cash management. In the following scenario we will discuss the use of A2X with Payability, however, the same guidelines can also be applied if you are using other services, like World First or OFX. Let's say, for example, that you've just started out with Payability, and you are working your way up to complete advance payments. Payability transfers your settlement funds on the closing day of the settlement, which is saving you from having to wait the extra days for direct payment from Amazon. This scenario would be simply set up like below. This is only a timeline of events for our example settlement. 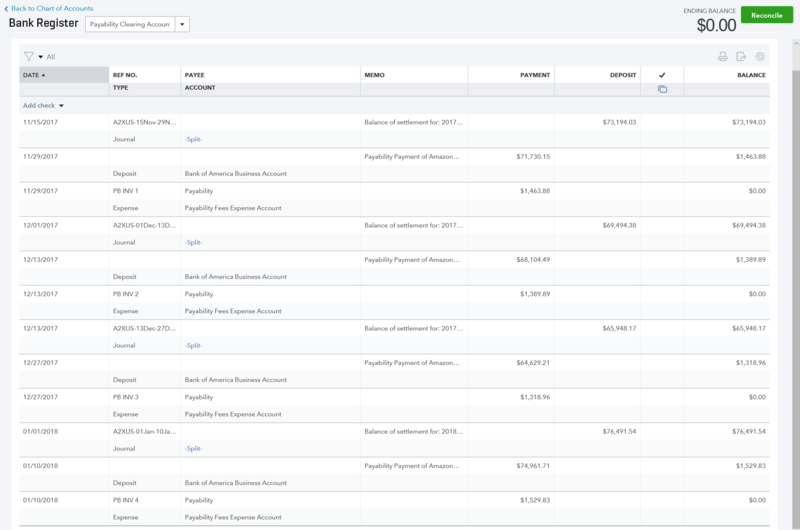 Next, you can see a flow chart of events in your accounting system – the order in which the below items occur can be arranged in any combination. This example doesn’t include the allocation of Payability fees which we cover further below. 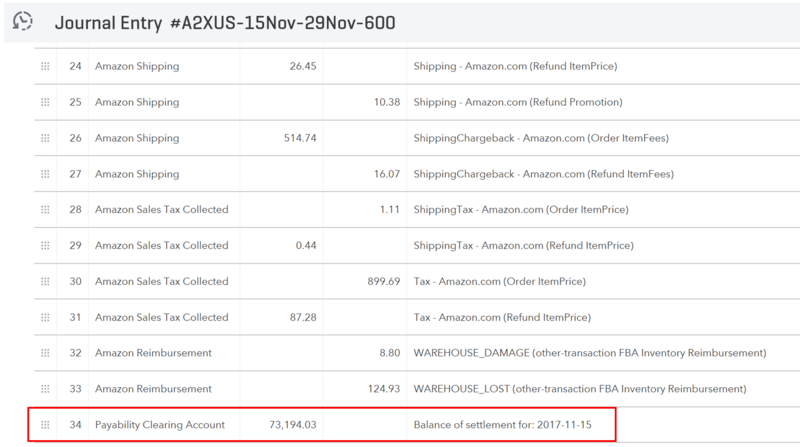 We will now show you a detailed visual example outlining the transactional accounting treatment of settlements. We have four settlement files in A2X ready to be sent to our accounting software and we have recently started using Payability. Payability already paid us for each of these four settlements (less their fees). To make sure our accounting system records all of this accurately and efficiently, it is best to create a bank clearing account that can simply act as a ‘pass-through’ account. Please Note: This account has to be set up as a bank account, so we can map to it in A2X. The four settlements can now be sent over to the accounting software from A2X (if they haven't already been automatically sent over). 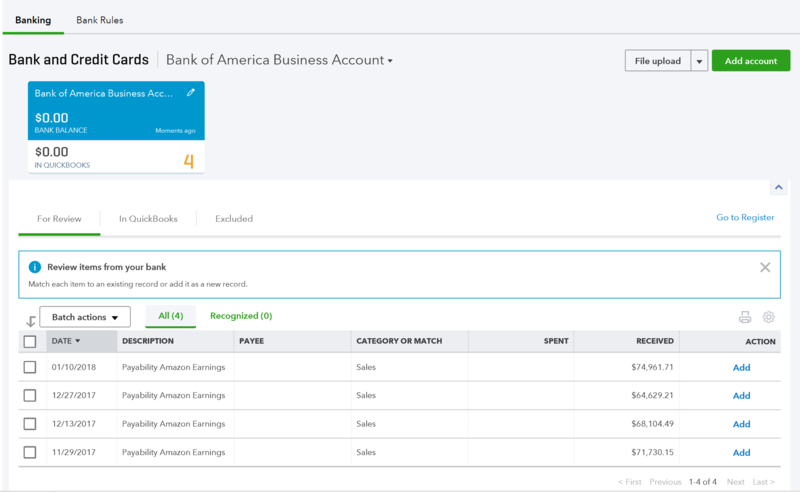 Once these are in the accounting system, you can see that the deposit line of the QBO journal (invoice, if using Xero) is allocated to the Payability Clearing Account. This nets out the transfer we did from the BOA account, aside from the Payability fees which we will cover next. This will net out the balance remaining in the clearing account. 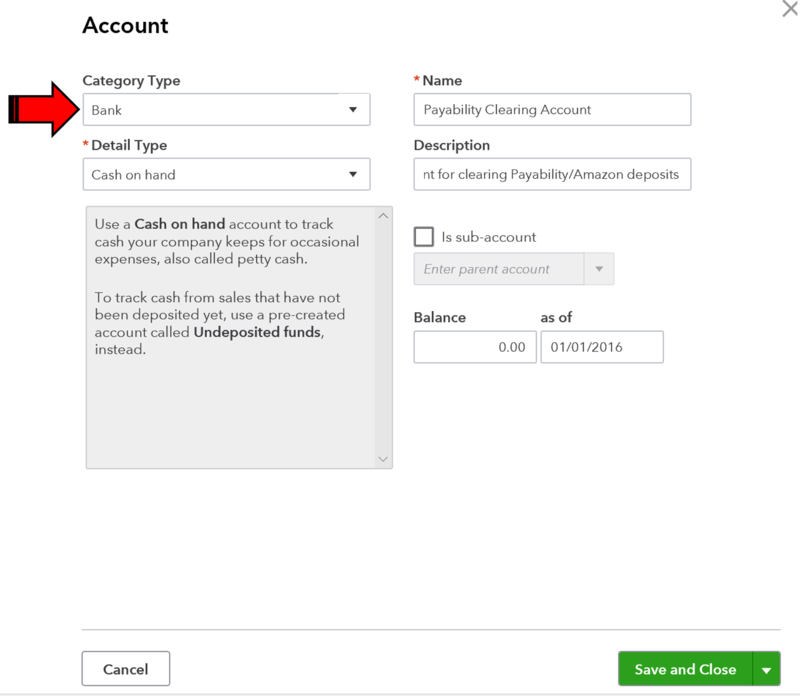 When reviewing the bank register in QBO or the Account Transactions in Xero, we can see that the balance of the Payability Clearing account is now $0. Our Bank of America account is showing the correct actual bank account balance. And all sales, fees, debits, credits, deposits, etc. are correctly allocated within the accounting system!